Domestic violence can give rise to both criminal and civil proceedings. Criminal proceedings are instituted after a family or household member of an alleged abuser files a complaint with law enforcement. 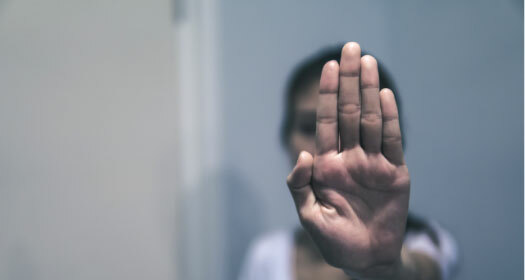 There are also civil remedies, most prominently the protective order, that can be issued by the Courts to address domestic violence and abuse. In Virginia, domestic violence is considered a separate specific crime. B. For a person to be eligible for such deferral, the court shall find that (i) the person was an adult at the time of the commission of the offense, (ii) the person has not previously been convicted of any offense under this article or under any statute of the United States or of any state or any ordinance of any local government relating to assault and battery against a family or household member, (iii) the person has not previously had a proceeding against him for violation of such an offense dismissed as provided in this section, (iv) the person pleads guilty to, or enters a plea of not guilty or “nolo contendere” and the court finds the evidence is sufficient to find the person guilty of, a violation of § 18.2-57.2, and (v) the person consents to such deferral. D. The court shall require the person entering such education or treatment program or services under the provisions of this section to pay all or part of the costs of the program or services, including the costs of any assessment, evaluation, testing, education and treatment, based upon the person’s ability to pay. Such programs or services shall offer a sliding-scale fee structure or other mechanism to assist participants who are unable to pay the full costs of the required programs or services. Criminal proceedings are brought by the Commonwealth of Virginia against the Defendant, and those proceedings can include protections for the alleged victim. However, the victim can also seek civil relief in the form of a protective order. There are three different types of protective orders. An emergency protective order can be issued by either a magistrate or a judge and is based upon the sworn affidavit of the “victim”. This is a process which the magistrate or judge hears evidence from the party seeking the protective order. The accused is usually unaware of situation until/if the emergency protective order is granted, at which point in time he or she will be served. An emergency protective order expires, on its own, within seventy-two hours from the time that it is issued. However, it can be extended by the victim within that seventy-two hour period if he or she files for a preliminary protective order in the Juvenile and Domestic Relations District Court. The preliminary protective order, if granted, remains in effect until the court can conduct an evidentiary hearing to determine whether or not the protective order should be made into a permanent protective order.